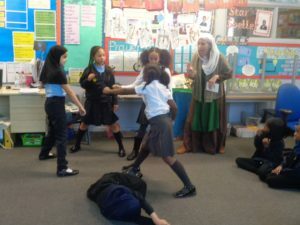 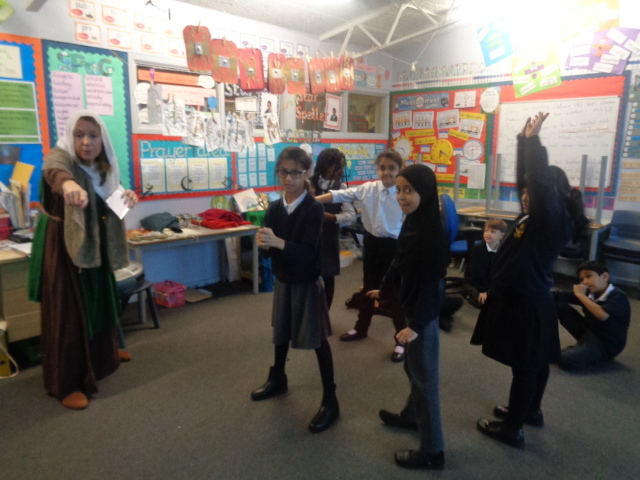 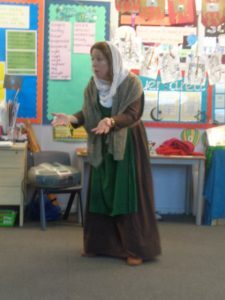 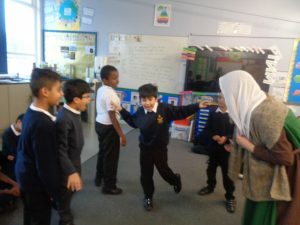 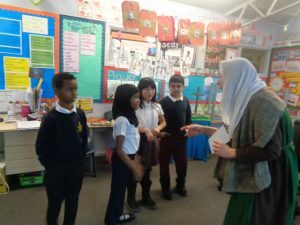 On Friday, Year 4 had an Anglo-Saxon drama workshop. 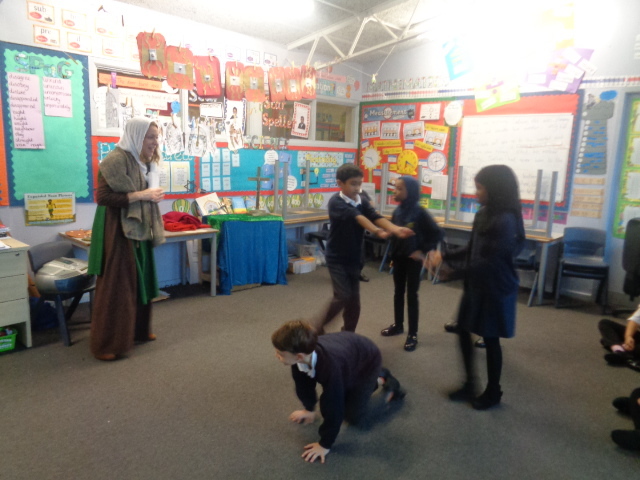 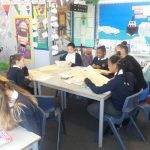 We acted out different events that happened during the Anglo-Saxon period in history. 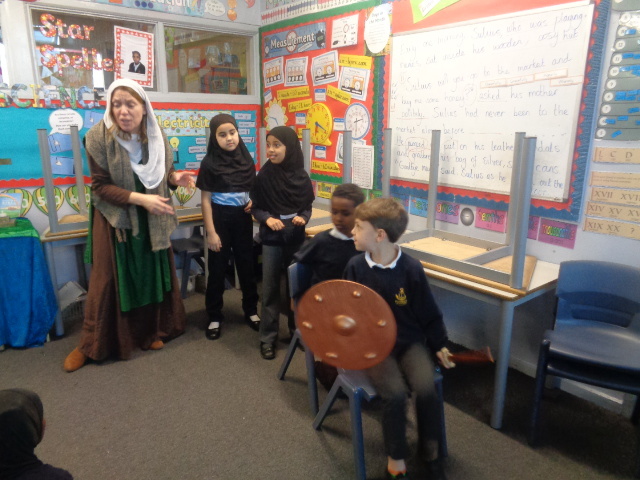 We learnt some new historical vocabulary such as invaders, settlers and raiders. 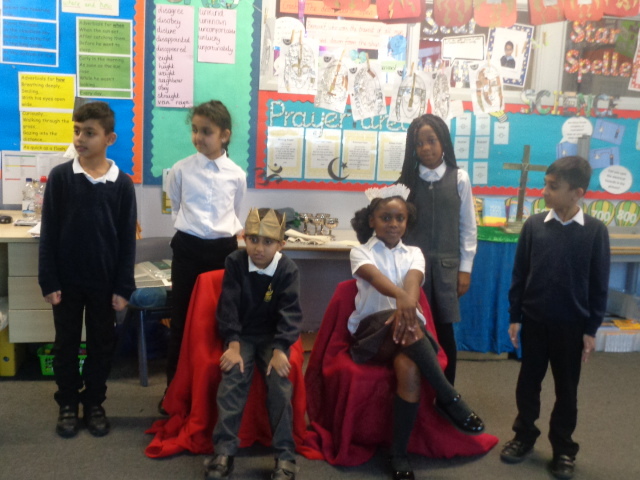 Also we learnt the names of some Anglo-Saxon God and Goddess. Did you know that the Anglo-Saxon’s believed in more than one god? 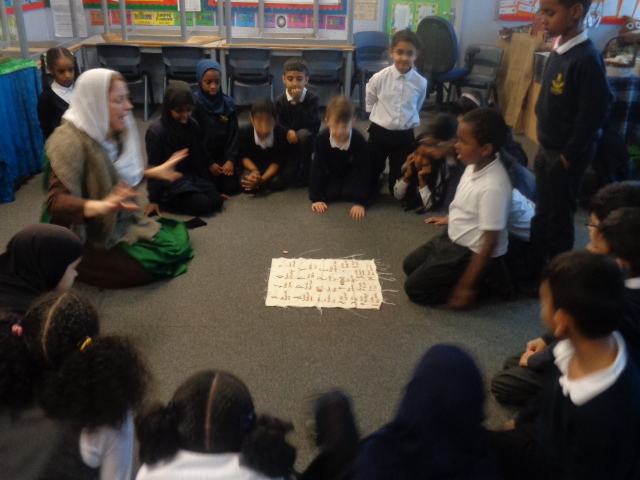 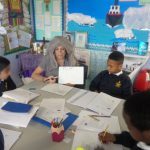 Our special visitor used the Anglo-Saxon alphabet to predict Mahamed’s and Humayra’s future just like they did during the Anglo-Saxon times. 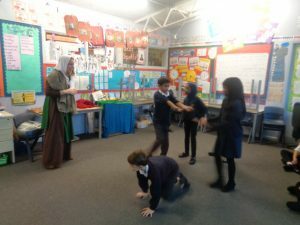 At the end of our workshop, we acted out the famous story Beowulf, who was played by Isaiah and Ubaidullah played the role of the evil monster Grendel. 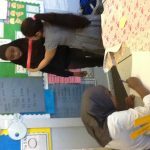 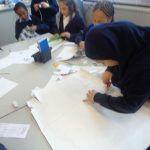 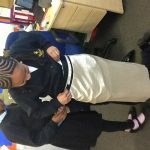 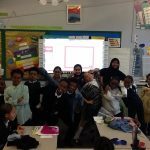 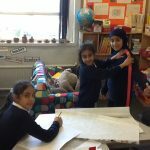 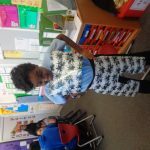 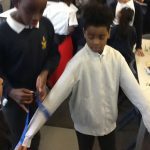 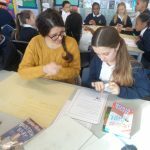 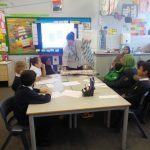 Year 5 have had a fantastic week learning about the maths skills that are needed to be a fashion designer. 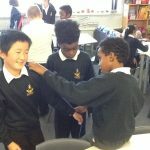 We started the week by practicing our measuring and conversion skills using different equipment. 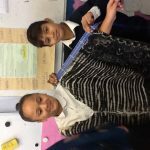 We also explored the world of fashion and the process that a designer needs to go through from start to finish. At he end of the week we put our skills in place. During the parents workshop, we created mock-ups of our designs. 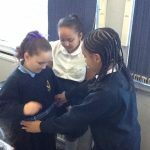 We then worked in teams to make full sized clothes. We’ve had such fun putting maths into practice. 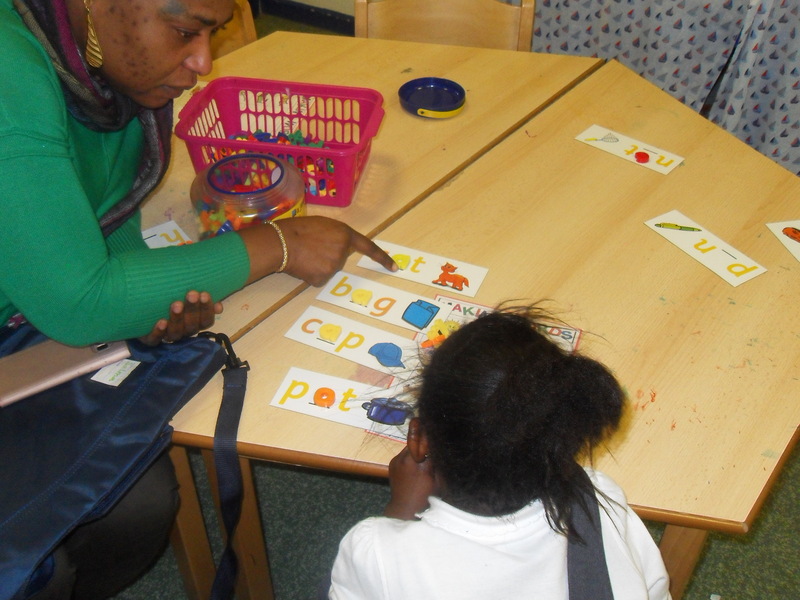 Today we held a phonic workshop for Reception parents and carers. We discussed what phonics is and how you can help your child at home. 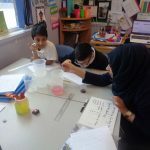 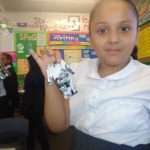 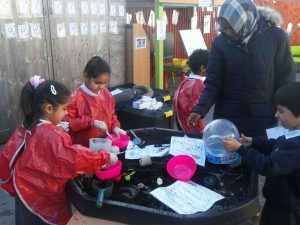 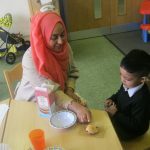 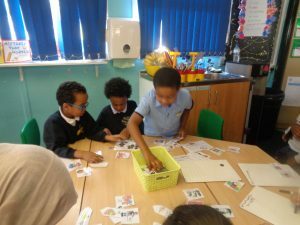 We explored different activities that can be done at home and the types of activities they do at school to practice and embed their phonics learning. 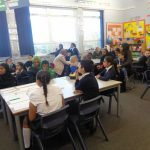 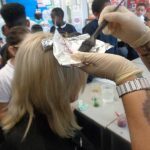 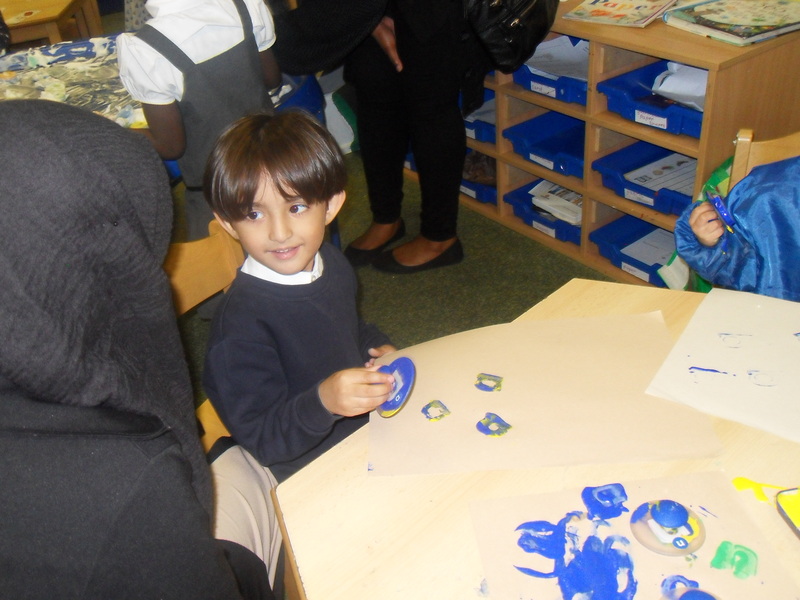 Thank you to all the parents and carers who attended. 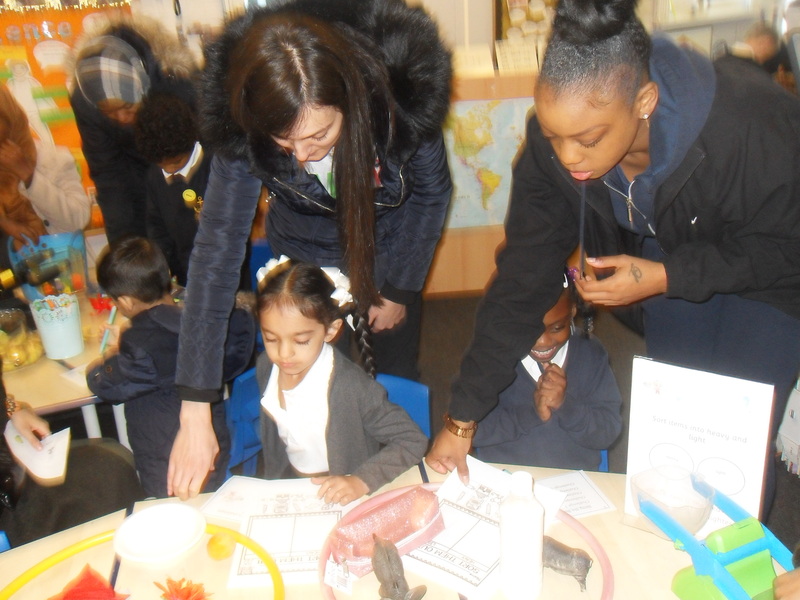 Your support means a lot to us. 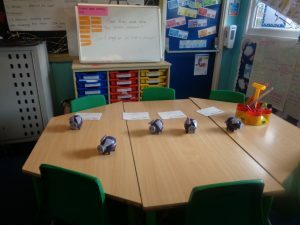 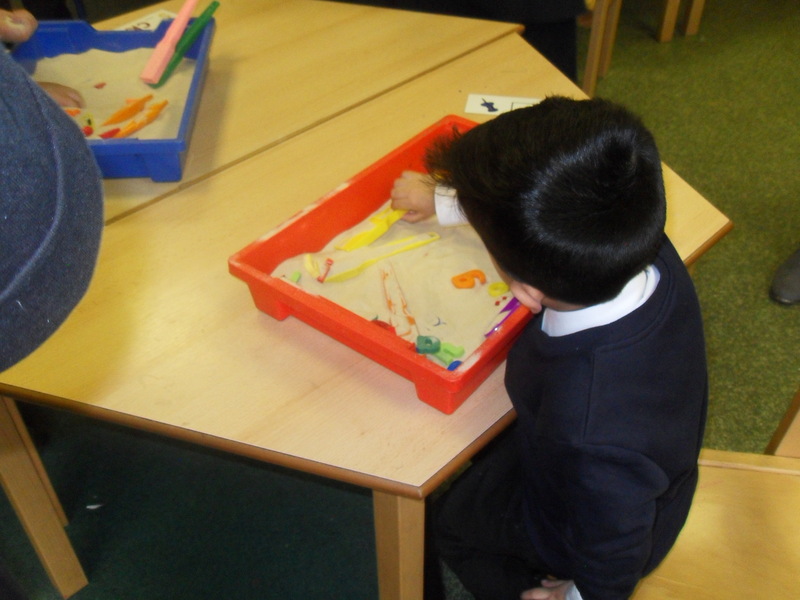 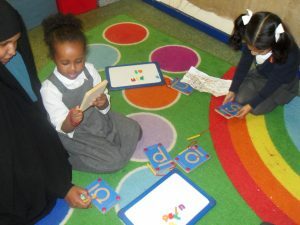 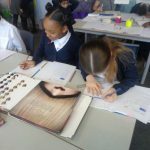 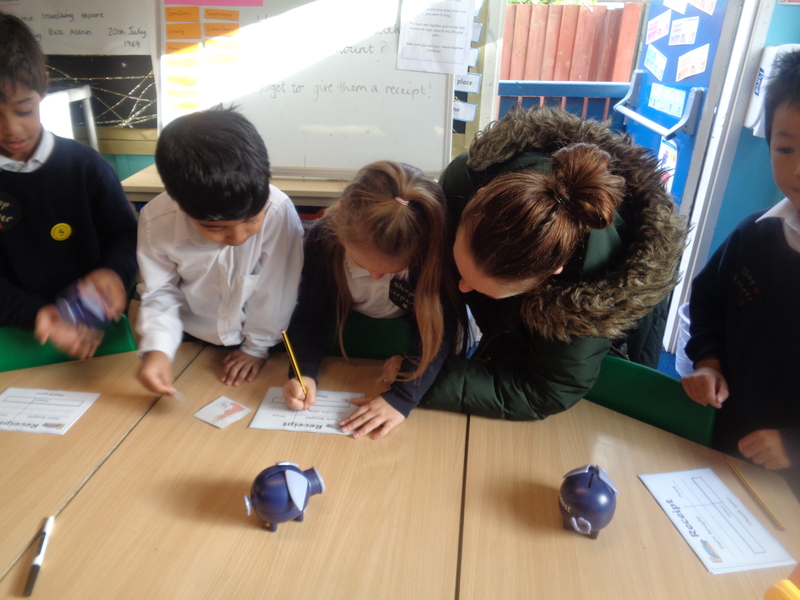 This week it has been Maths week and the children in Year 2 have been exploring money. We received a very special request from Major Tim Peake who wanted to throw a party for all of his friends on the ISS. 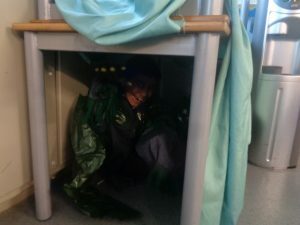 Unfortunately he is still in space so unable to buy all of the items he needs. 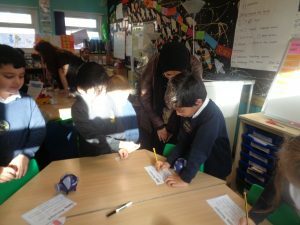 He asked if Year 2 could help him plan and pay for the party! 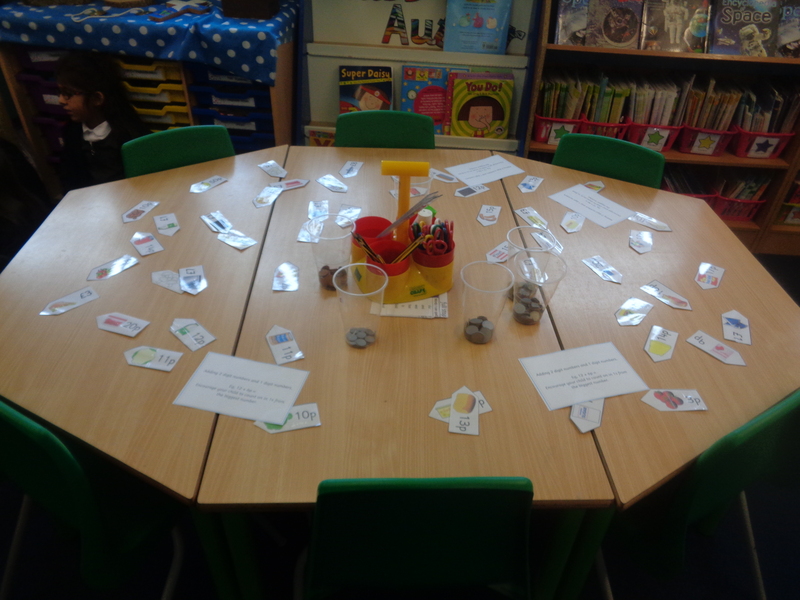 We were happy to accept our mission and set about learning all we could about money! 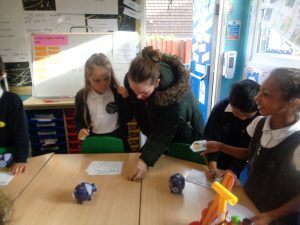 We have been learning about the value of different coins and combining them to make different amounts. 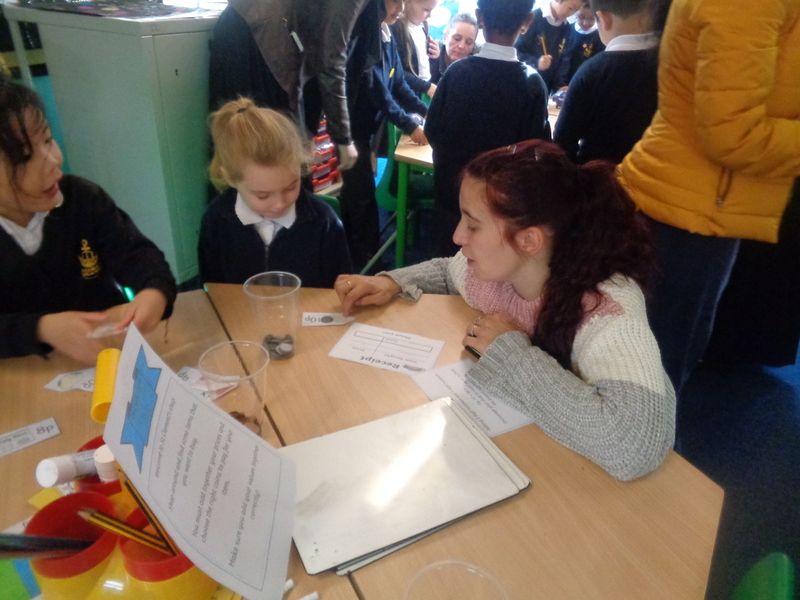 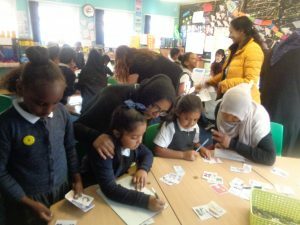 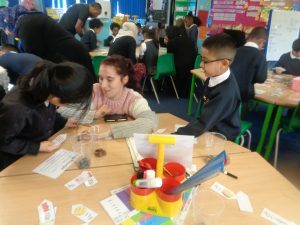 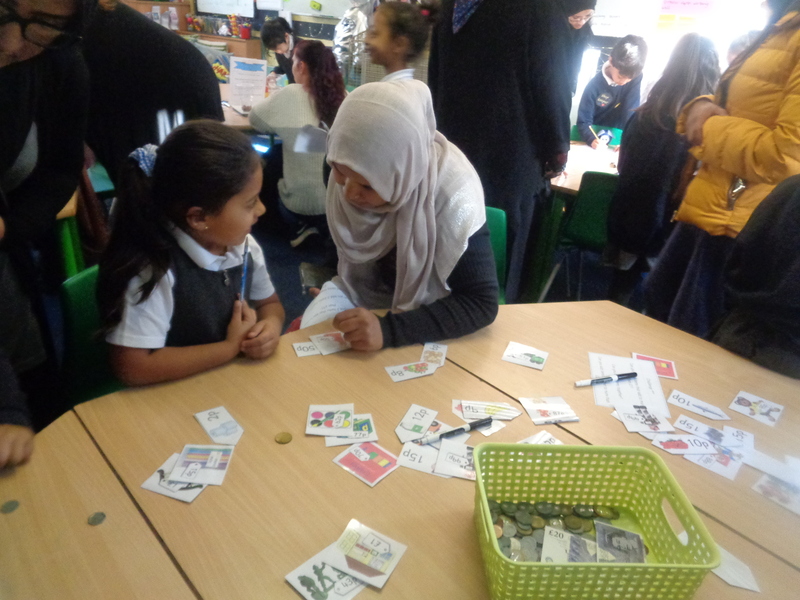 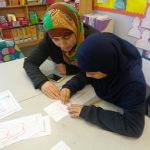 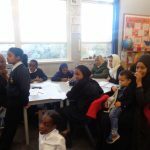 We also had a fantastic parent workshop where we got to show off our maths skills, add together amounts and pay for them in our classroom shop. Thank you to all the parents who came and supported their children. 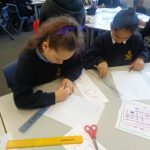 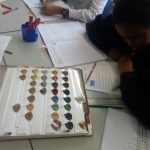 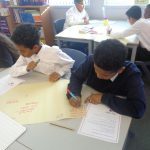 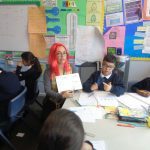 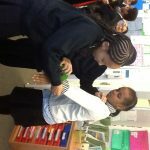 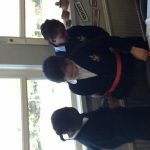 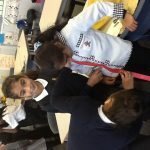 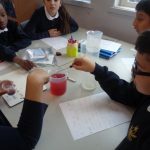 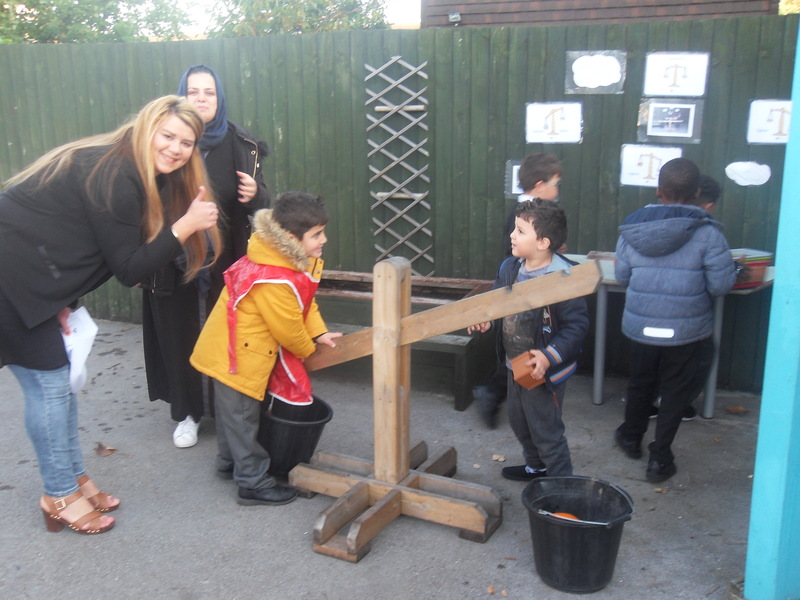 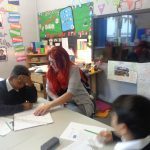 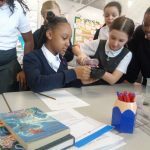 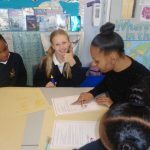 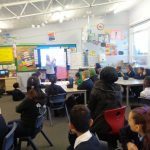 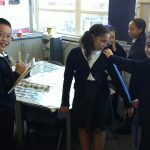 This week at St. Clement’s it has been Maths Week with a special focus on Maths at Work. 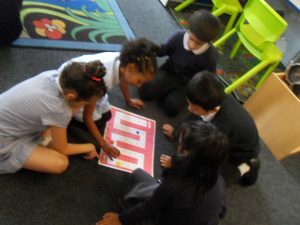 All classes have been learning more about how maths is used in different jobs. 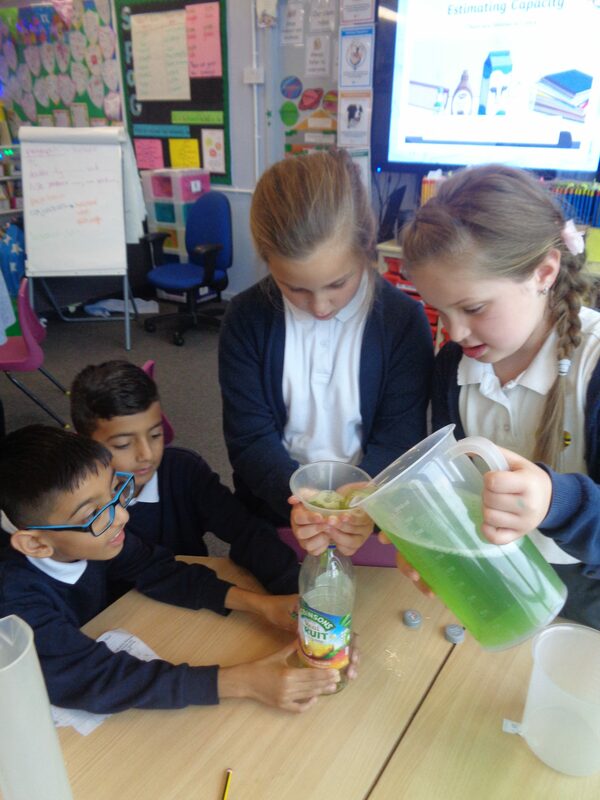 Year 3 have been lucky enough to have a visit from Graham who is the manager of a juice bar. 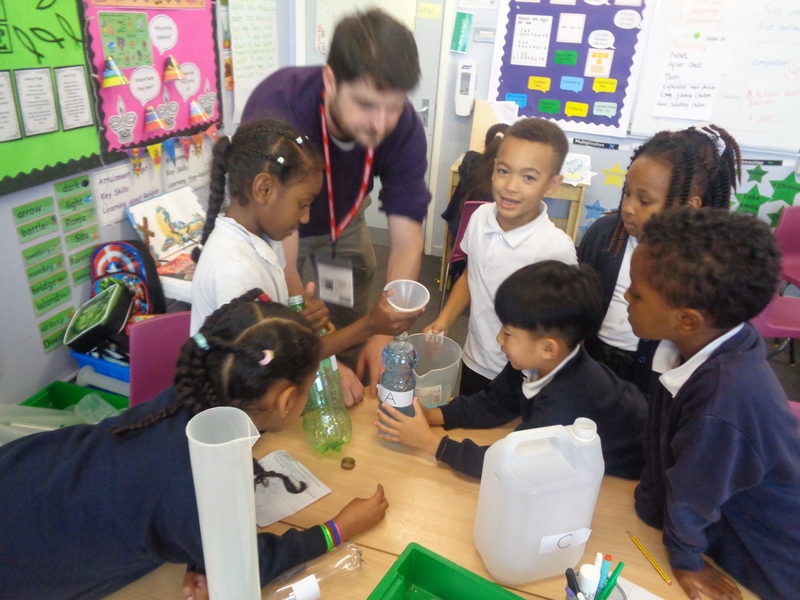 Graham came in to talk to the class about how he and his team use maths everyday when following recipes to make different juices. 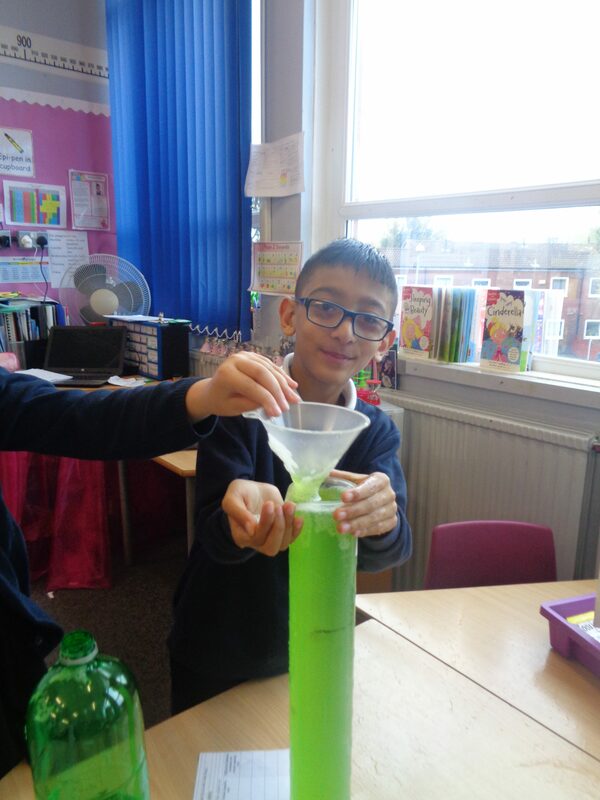 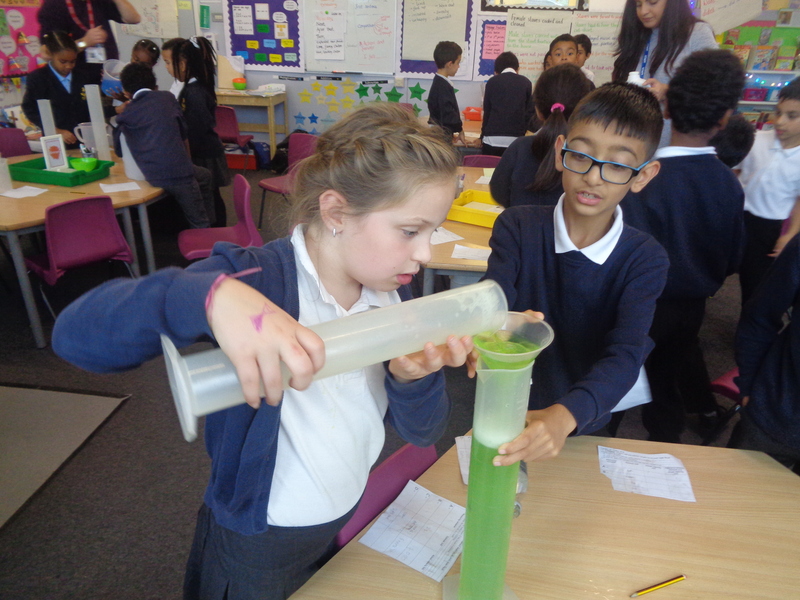 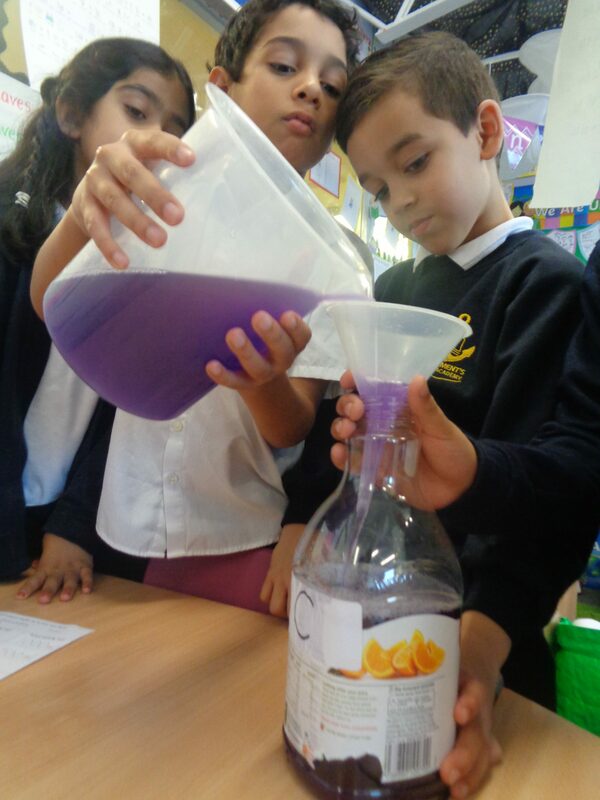 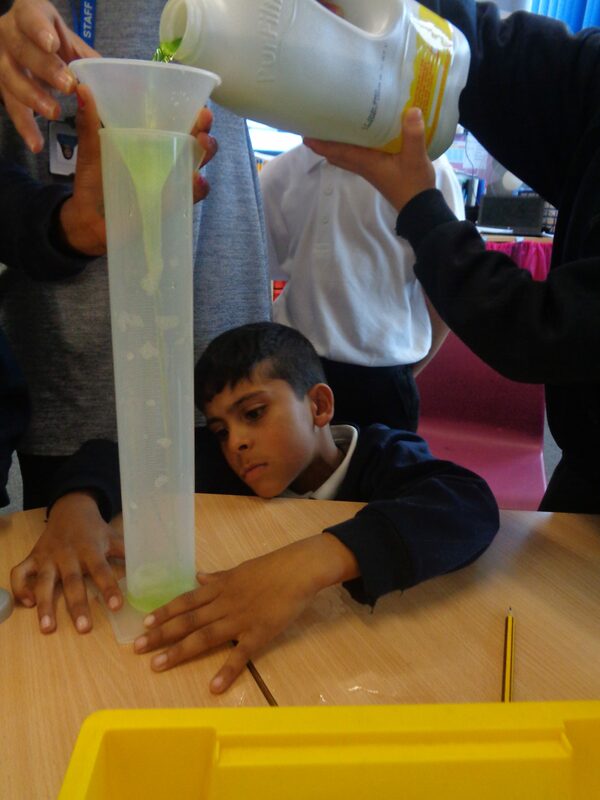 Year 3 found out that it is vital for Graham to be able to measure accurately so that the juice his customers buy will always taste the same. 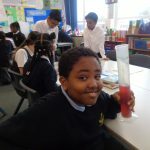 Graham and his team have to work hard to measure accurately because too much of one fruit can really change the taste of their juices. 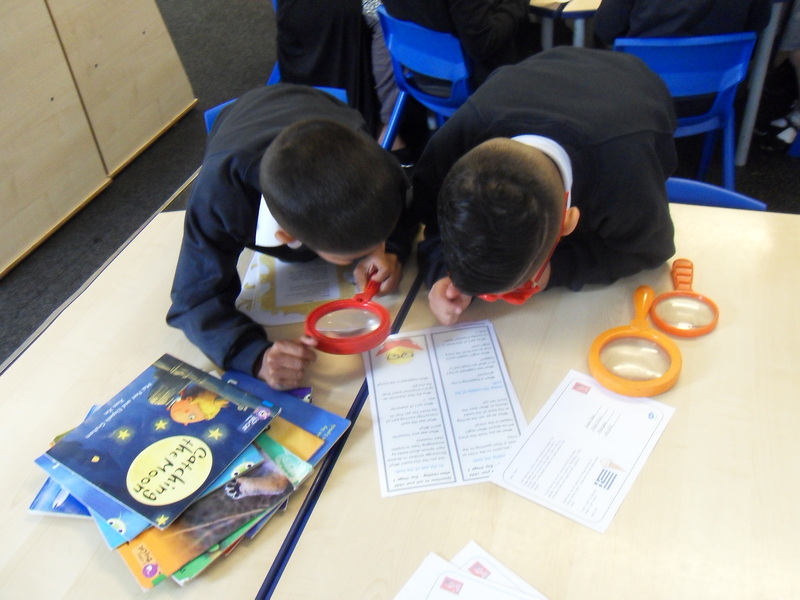 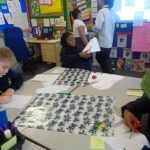 Year 3 were surprised how much maths Graham uses in his job from estimating , measuring accurately, and using mental calculation strategies. 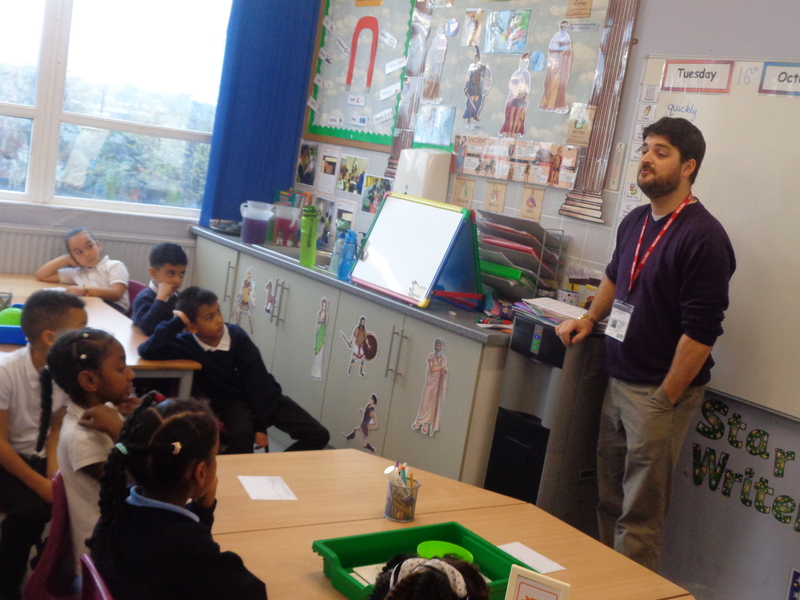 A big thank you to Graham for coming into school. 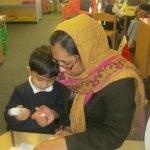 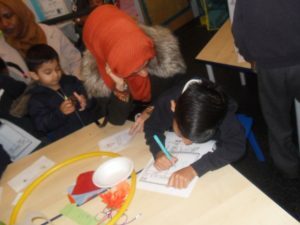 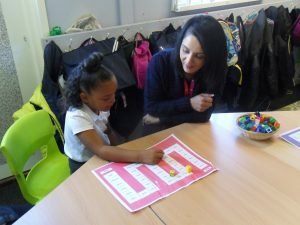 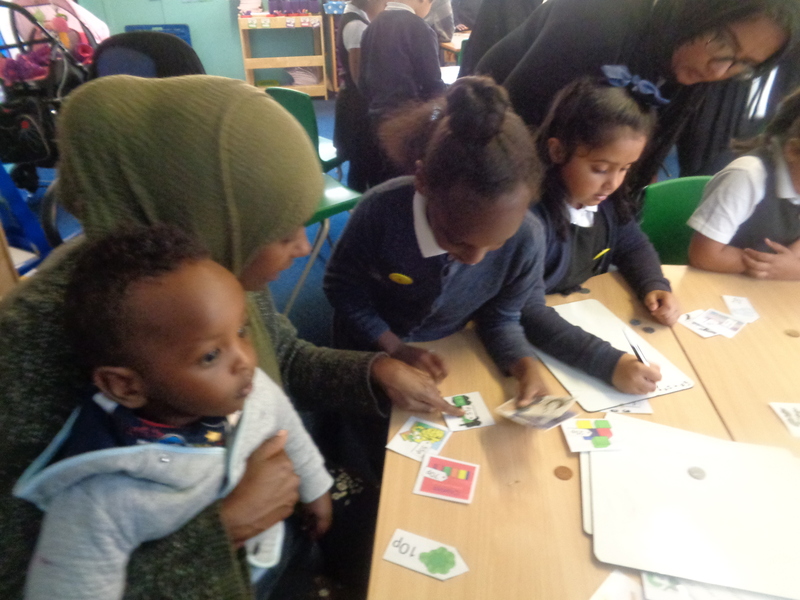 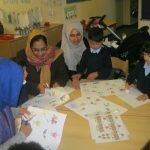 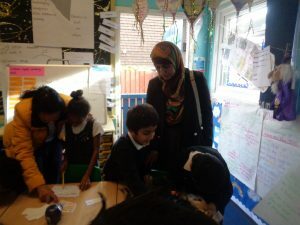 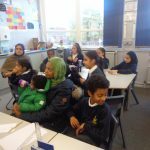 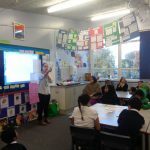 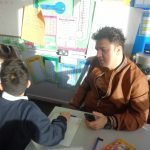 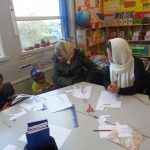 Today in Year 1, we had our Phonics workshop for parents. 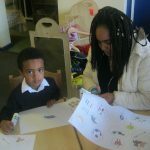 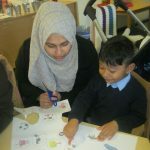 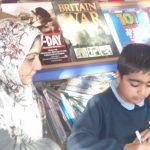 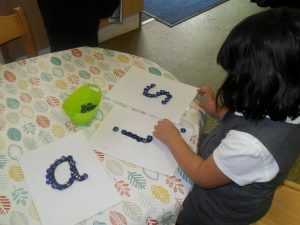 The children were confident to show the parents how fantastic they are at phonics. We showed the parents how we read words by looking for digraphs and sounding out the words. 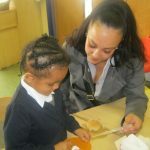 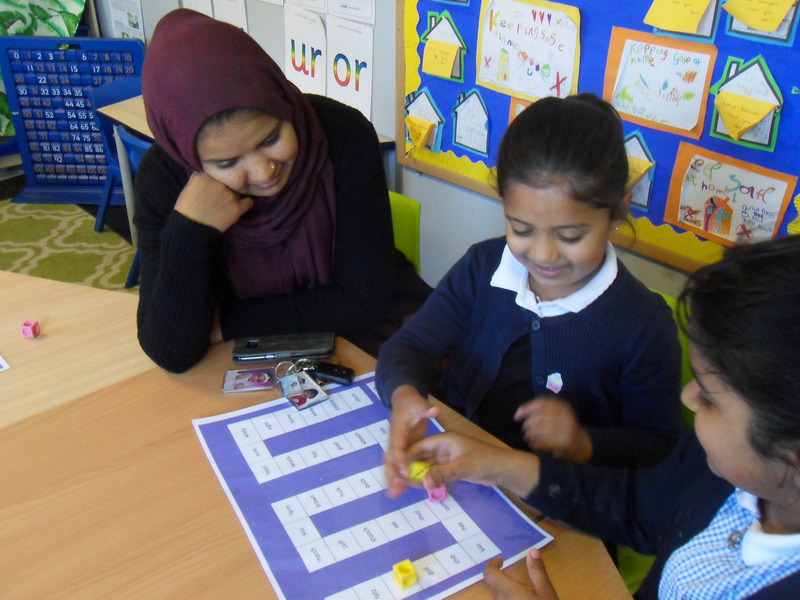 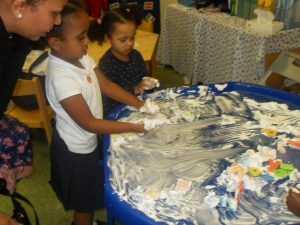 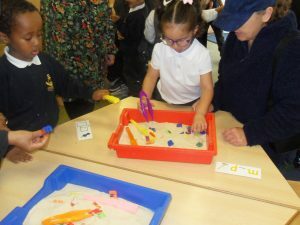 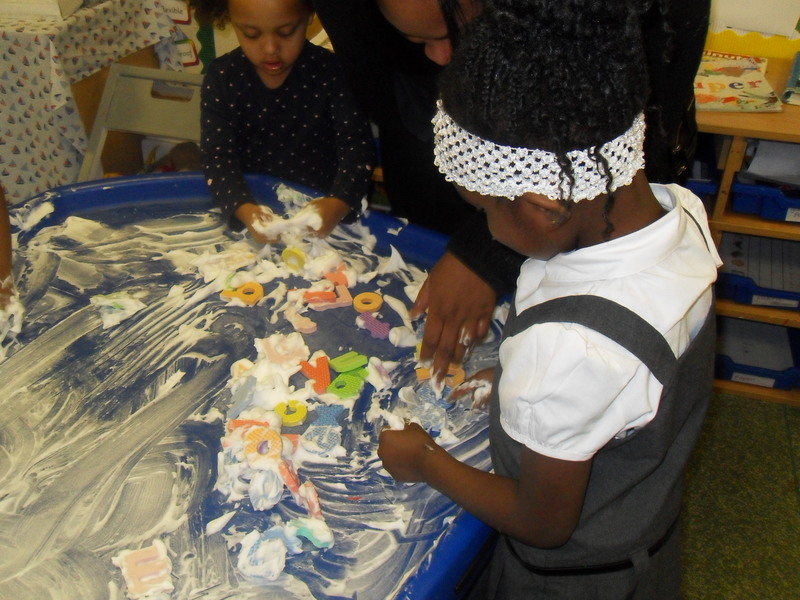 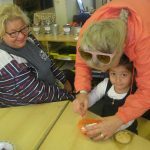 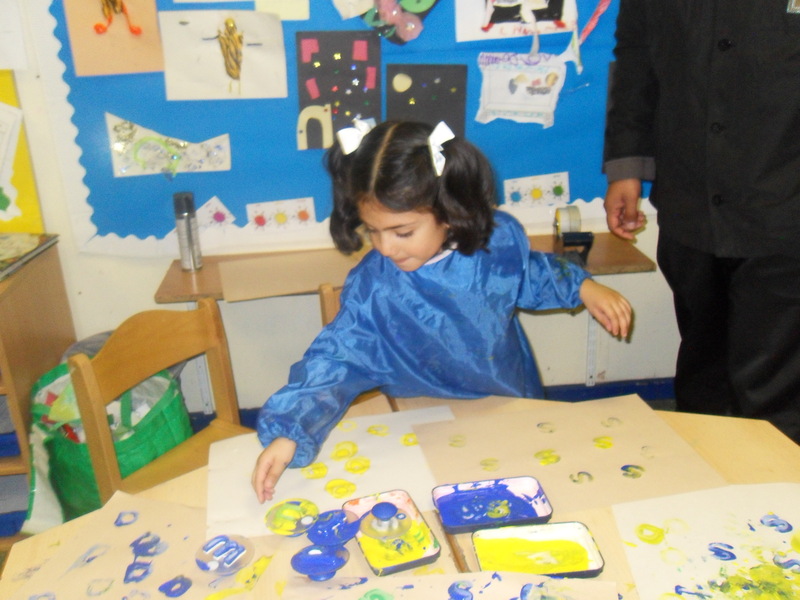 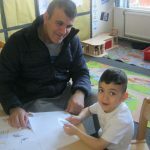 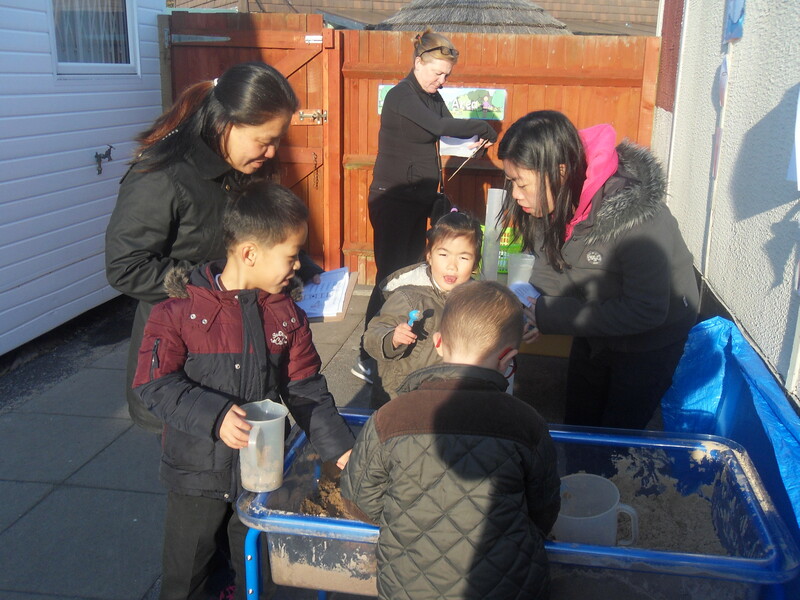 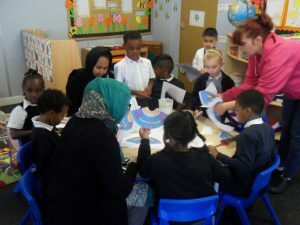 Then the parents joined us for lots of phonics activities and we had lots of fun!